Of course, you’re going to have to modify your program a bit until you figure out the cause of your aches and pains and heal your injury. Here are some action steps you can take if you ever find yourself having to manage an injury. Use this time to focus on other areas. So if you hurt your wrist or shoulder, take it as an opportunity to focus your resistance training on your legs and core. Take up hiking or stationary biking. If you hurt your knees, focus your muscle workouts on your upper body and core until you can start incorporating your lower body. 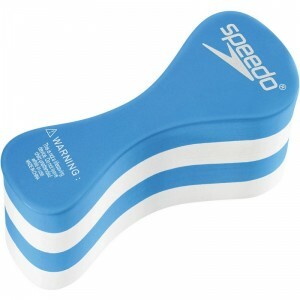 Take up swimming with a pull buoy so you don’t have to involve the legs. You may even be able to work muscles around the injury in an unloaded gentler fashion. For example if you hurt your knees, you could probably still do floor work like leg lifts without pain and help prevent the muscles from atrophying too much. If you’re used to jogging every Monday, Wednesday, and Friday replace this with a swim or weight training. The last thing you want to do is drastically change your schedule because it may be a challenge to return to your present level of activity once your injury has healed. Besides, you’ve worked so hard to achieve your current fitness level and it’s never fun having to start over! Are you progressing too quickly? Are you doing too much of the same type of activity? Are you running every day without taking rest days in between? Are you forgetting to warm-up and cool-down? Are you going too hard too often? How long have you been wearing your current fitness shoes? Are you stretching and doing muscle release like foam rolling after your workouts? You may be able to narrow down the culprit…..
You definitely want to “nip an overuse injury in the bud”, so sports physicians and physical therapists recommend you treat aches and pains immediately. Overuse injuries left untreated, can become chronic and seriously affect your ability to continue with your training program. As a general guideline, the acronym “RICE” should serve as the basis of treatment for most minor injuries. R stands for rest – that is either take a few days off or reduce your training intensity and volume. I stands for ice – ice the affected area to reduce pain and swelling. A good guideline is ice the area for 15 minutes every two hours to reduce pain and swelling. C stands for compression – apply pressure to the area with an elastic bandage or wrap to minimize inflammation and damage from excess swelling. E stands for elevation – that is elevate the affected limb to assist in the drainage of fluid. It’s one thing to treat a symptom, but it’s much more important to figure out the cause. 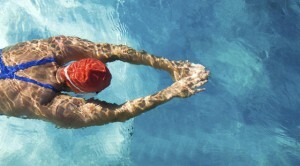 This is why it’s always a good idea to seek expert advice from a sports physician or a physical therapist – they can assess muscle weaknesses and imbalances, provide you with specific stretches or exercises to treat the problem and can often use various other techniques to reduce the pain and/or speed the recovery process. Self-treatment, using the above RICE protocol, is a good starting point, but it’s wise to be safe rather than sorry and seek help. Remember, that pain is your body’s warning signal that something is wrong.